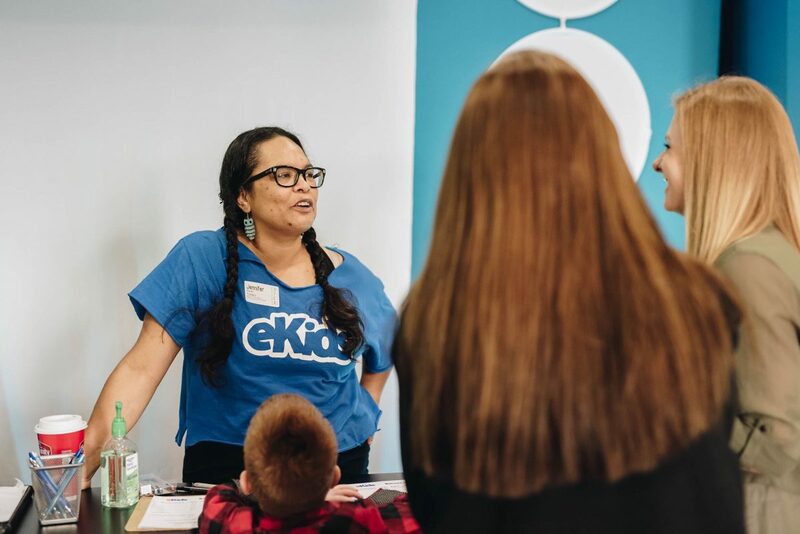 eKids is a children’s ministry uniquely designed with your child in mind! 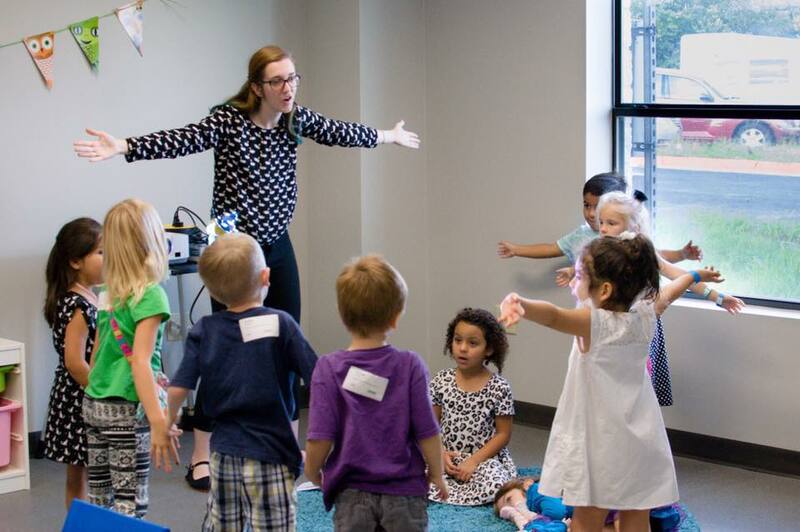 Every Sunday all children (babies through 5th grade) experience safe, age-appropriate environments where the Bible is taught in a creative and relevant way. 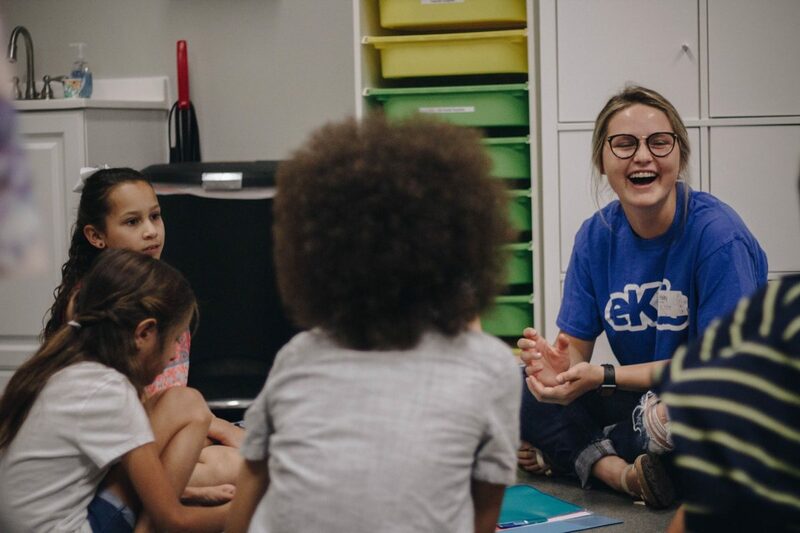 We are so passionate about kids learning about Jesus in a way they can understand that we provide environments made with them in mind. 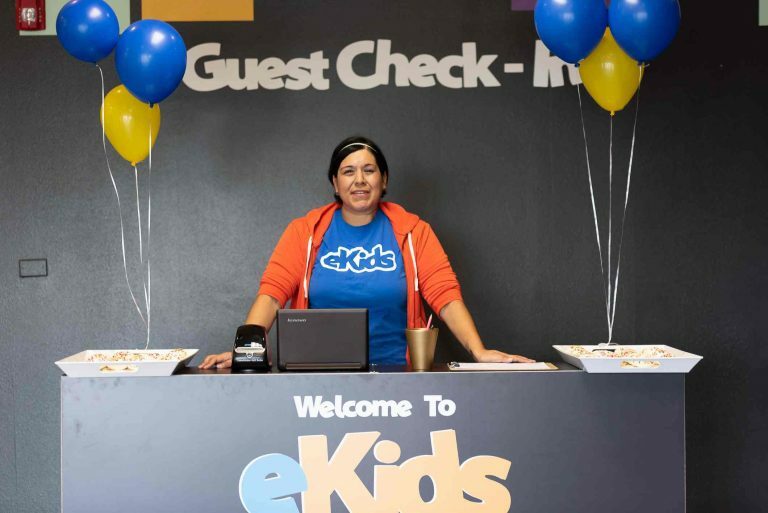 We would love to see you and your family visit eKids at Eikon this Sunday. 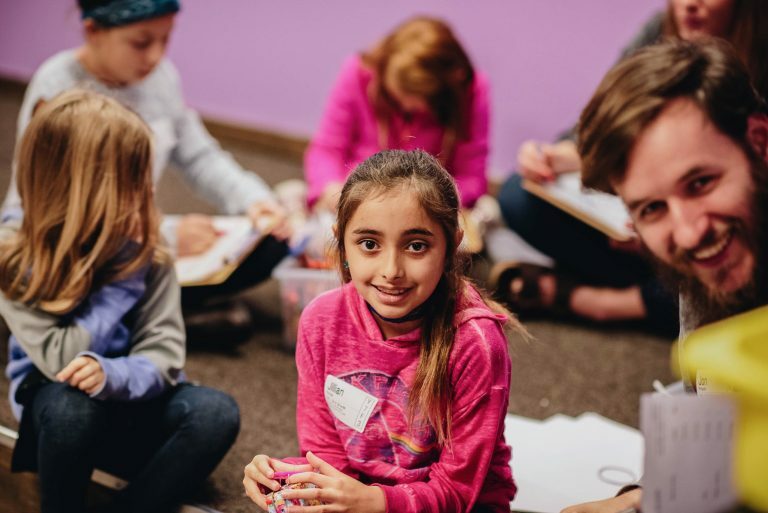 Join the fun and experience a world where kids meet Jesus on their level! As you pull into the parking lot you can look for the eKids signs directing you to the eKids environments. The nursery, which is designed for children from birth to 23 months, is located in the same building as the adults. We do this so that our littlest ones will be close to moms and dads. Both the Pre-school environment and the elementary aged environments are together and will have signs directing you to that building. If you have any questions, feel free to ask our 1st Impressions team in the parking lots and they can direct you to where you need to go. At check in, we will ask for the following personal information: family members’ names, children’s names and birthdates, address, phone number, email, school information, and any special instructions (allergies, special needs) for your child. If your child is a guest, be sure to pick up their gift at check in – we want them to know we’re glad they’re here! Check-in is open starting 30 minutes prior to service. After finding your child’s name in the database, you and your child will be given matching identification tags that are exclusive to your family and your visit. Your child will need to wear the name tag portion while you keep the matching tag. 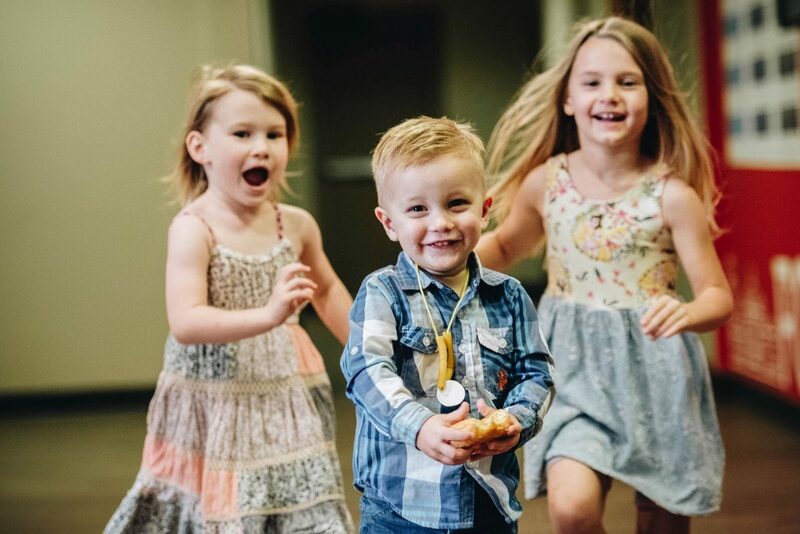 After the service, you will return to your child’s room and show your tag in order for your child to be released back to you. In the event that we need to contact you during the service, we will contact you either via text message or by calling you – please remember to keep your phone on silent but on hand so you can see if you’re needed. We ask that you make your way to the back of the building immediately and look for a staff member or volunteer who will direct you to your child’s room. On your way home, be sure to ask your child questions like, “Did you have fun?” and “What did you learn today?” Each week at eKids your children will take home a page that lets you know what they talked about on Sunday morning and ways that you can continue this conversation at home, so take a look at their page and ask them about it. Please be sure to ask any of our eKids volunteers or staff if you have questions, or you can email [email protected]. 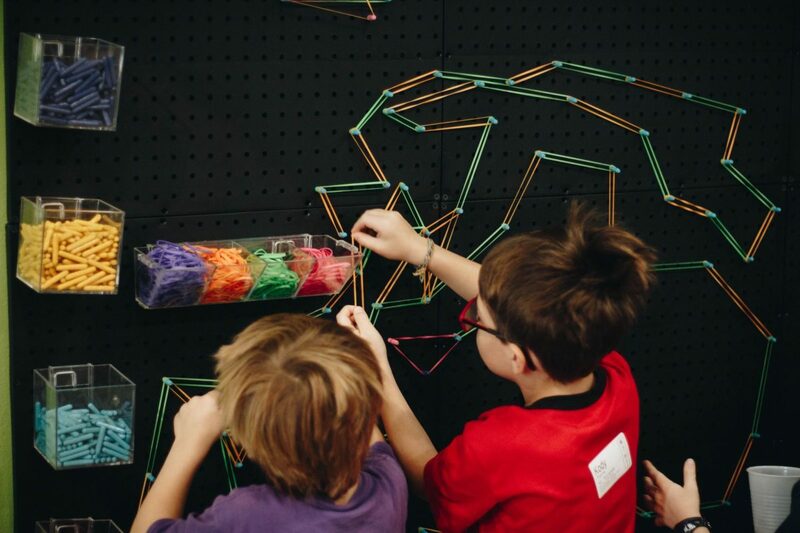 Our environments and lesson materials are created in a way your child will understand. 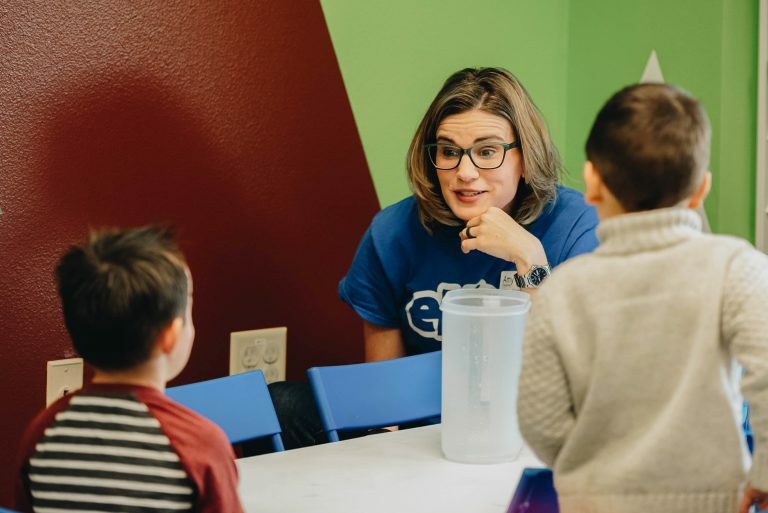 We are so passionate about kids learning this way that we highly encourage you to not allow them to go into the service designed for adults and students 6th grade and older. Every child’s name tag is matched to a parent-identification number, every volunteer is screened with an interview and federal background check, and every entry is monitored by volunteer personnel. All our volunteers have clear name badges with pictures so that you know who our workers are.